We were hosting a rental fundraiser via a b-boy competition and so after a busy and eventful Saturday, I stopped by the Q Cafe in the late evening for some relaxation and flashback to the past. Any current or old skool breakdancers amongst my readers? On a side note, I just absolutely love everything that’s going on through the Q Cafe. To keep updated on events, shows, and whatever, join our Facebook Page or follow us on Twitter. Next top 5 most challenging, convicting, mind-bending, face-melting books of all time? the memories come flooding back. our next door neighbors in Lynnwood always had the big pieces of cardboard out in the driveway and the boom box going. & beat street is a lesson too becuz a ya can’t let the street beat you… huh! 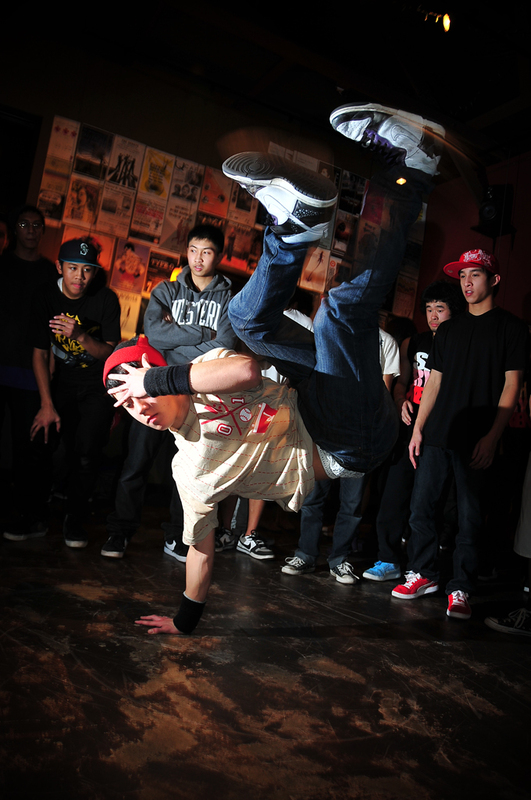 yeah I used to break dance back in middle school… way old school! I started breakdancing because the girls wouldn’t dance with me at the school dances, so I hung out with the breakin’ peeps in the corner… sportin’ my parachute pants as I spun at lightning speed and beat street style, yo! I spoke with you last Sunday at the 11 service. The young half-asian good lookin fella. I am a bboy and actually I am trying to get a Haiti bboy fundraising jam for the 6th of March with some ladies who attend Quest, I believe. I would love to get in contact with you to hopefully follow up with this potential bboy jam. That’s my lil cousin in that top picture by the way. He and myself came up with this Haiti benefit jam. thanks caleb. i shot you a response. would be great if you guys could throw a bboy benefit for one day’s wages’ haiti relief fund.